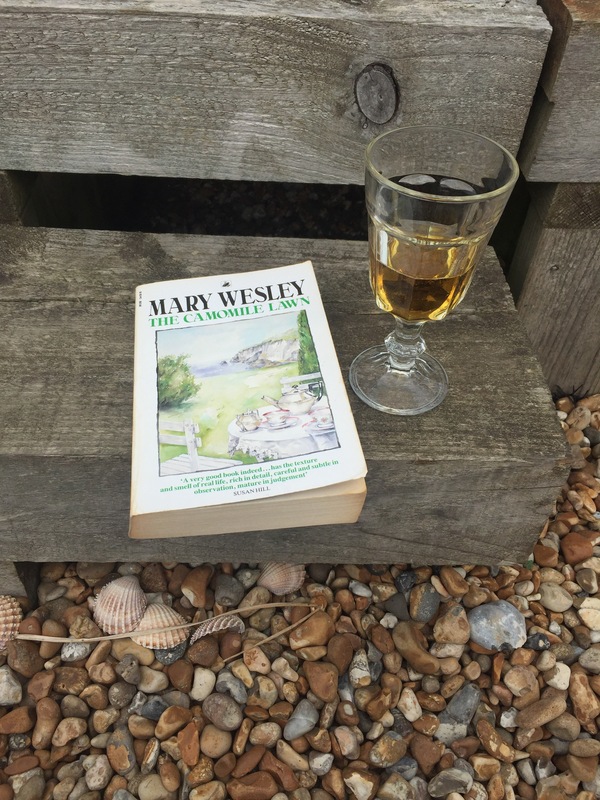 A tricky choice for my book of the week this week – partly because of a reduced list this week because of exciting things like holidays with friends, but partly because I had little quibbles with everything I read. In the end it came down to Kelleigh Greenberg-Jephcott’s Swan Song and The Vacationers (apt because I was on vacation!) but as I’ve recommended Emma Straub before, I thought I’d go with Swan Song instead. And to be fair, writing this post turned out to be really quite easy in the end! Regular readers of this blog will be well aware of my love of novels based on real events, and this one takes a look at the downfall of Truman Capote, who after years of friendship (and patronage) with a group of elite high society women, committed social suicide by using their lives as material. He called them his Swans, and they tell the story as a sort of Greek chorus, switching between their lives, his life and the stories he told them. Hopping backwards and forwards through time, the Swans recount the various versions of Capote’s childhood that they’ve been told, full of inconsistencies and embroideries, they tell the stories of their friendship with him and its implosion and the aftermath. This is really good. While it is most definitely a bit of a Rich People Problems type of situation, there is proper scandal, betrayal and heartbreak on all sides here. There are a lot of novels that talk about the unhappiness of rich and privileged people, and although they can sometimes be my favourite books to read, when it doesn’t work it’s hard to muster any sympathy. But that’s not the case here at all – the women who Truman exposes have all their unhappiness exposed to the world – all the things that they have managed to ignore or put up with to keep their status are suddenly out there in print and although Joe Public might not know who the stories are about at first, the veil disguising their identities is very thin and people work it out – fast. I still can’t make up my mind if Truman knew that what he was about to do was going to explode his life but did it because he was terrified about failing to deliver a follow up to In Cold Blood, or if he thought that the women wouldn’t mind and couldn’t believe that they would be prepared to turn their backs on him. My main quibble was around the last quarter – which I didn’t think worked quite as well as the earlier part had done, mostly because after the swans have broken with him, using them as a narrative device didn’t work quite as well for me. There is a big cast of characters here but I was fine, knowing a bit about the story and having read another novel based around this very same issue before. But my other quibble was whether you’d get lost if you didn’t know anything about this set before – as I was slightly when I read The Swans of Fifth Avenue – which didn’t tell you what it was that he’d done! Swan Song does give you the details on that – which is good, and I think if you keep reading beyond any initial confusion, it will all start to slot in to place. It’s just that the first part is a little bit like Truman’s brain after he’s had a few Orange Drinks and some pills. And obviously there is Wikipedia to help too if you’re really stuck – to be honest I think you can get all you need to know from Truman’s entry and then disappear off down any rabbit holes that strike your fancy! Last week I recommended a book of fiction so cleverly done that you can’t believe the band isn’t real and actually these two make quite a good pair and overlap in time in some patches – although you may find that hard to believe. You’ve got Truman and his swans living in the high society world of the East Coast which still feels like a relic of an earlier era, while over on the West Coast, Daisy and the Six are living it up in the new world of rock and drugs and feel much more contemporary. And both would make great books to read on the beach if you’re about to head off on Spring/Easter break. And writing post this has reminded me again that I really need to finish writing that Rich People Problems books post – it’s sitting half done, waiting for an opportune time to finish it (and for me to finish reading a couple more books). Maybe this will be the push that I need! I’ve had this on the pile for a while – twice in fact as I managed to get a NetGalley ebook copy when I already had a paper copy via the joys of my proper job – but although it came out last summer, I’m sort of timely – as earlier this month it was named on the longlist for the Women’s Fiction prize at the moment. 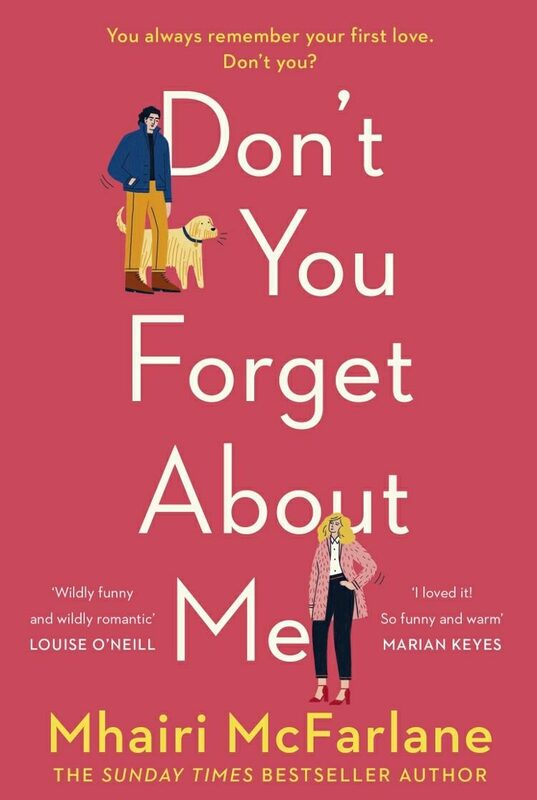 The paperback isn’t out until the end of June so you could preorder it (and Amazon do have that pre-order price guarantee) but the hardback isn’t a bad price on Amazon at the moment if you just can’t wait, and would expect (or hope at least!) 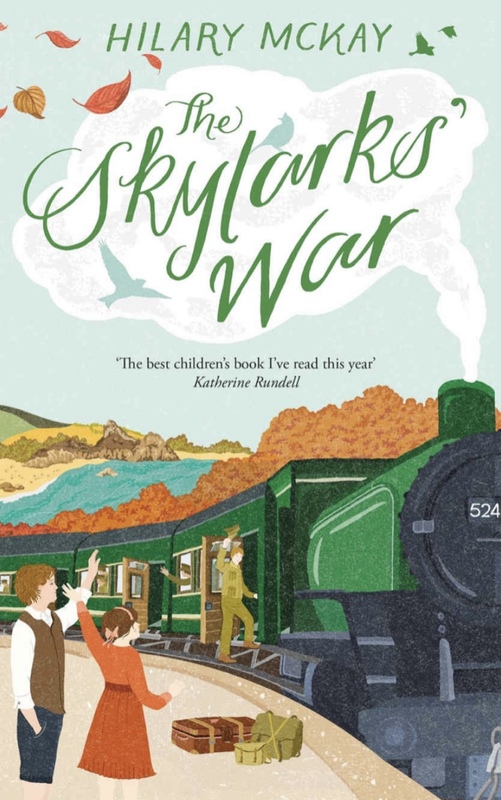 there might be a copy in any reasonably sized bookshop – especially now it’s been longlisted for a prize, even more so if it makes the shortlist. And of course it’s on Kindle and Kobo too. A bit of women’s fiction for this week’s BotW pick – and I’ve gone with Judy Blume’s adult novel In the Unlikely Event. This had been sitting on my shelf for a while (it was one of the books that got lent to my mum during the great renovation of 2017) and it took me a while to get to it – and to read it – because my copy was hardback and we all know that I don’t take them on the commute with me. In the Unlikely Event tells the story of the worst year of Mimi Ammerman’s life. At the start of the book we meet her as she heads back to her home town of Elizabeth for the 35 anniversary of three plane crashes that hit her home town within a couple of months. That was the year that she was 15 and as well as all the usual teenage angst, love affairs, school and family problems, Mimi and her friends had to deal with death falling from the sky towards them. The reader follows the community through the tumultuous period that changed all of their lives forever. I read a lot of Judy Blume’s children’s books when I was in the right age bracket for them. Between her and Paual Danziger my early views of what life was life in the US were formed. From Scoliosis, to party line telephones, to periods and a lot in between, so much of what I knew about young women and teenage girls in America came from what I read in her books. And, although she’s writing for an adult audience in this, I could feel echos of that coming through. Mimi’s world isn’t that far different to Margaret’s but as well as seeing the world through her eyes, we also see it through the eyes of some of the adults around her and some of the older teenagers. And it’s engrossing. I particularly liked the newspaper articles written by Mimi’s uncle Henry. They really set the scene for what’s happening and present the official point of view that Mimi doesn’t really see. It is a book about three plane crashes happening though – but although I had to take some breaks from reading it, it wasn’t as bad as some of the other books about tragedies that I’ve read. Definitely cope-able with. And lots of you out there probably won’t even have to take breaks – I’m just a bit of a wuss. I hadn’t really realised when I started reading this that the three plane crashes in Elizabeth actually happened. Or if I had, I’d forgotten. And I found out midway through wen I went googling because it seemed almost too implausible. At university I did a History and Literature module, and my final essay question was “Literature has to be plausible, history only has to be true. Discuss”. If I was writing that essay now, this book would definitely be getting a mention. Anyway, this was a really interesting read and I know I’ll be lending it on to other people. I can’t remember exactly where I got my copy from – it was either the magic bookshelf at work or from one of the work booksales – but because I’ve had it for so long it’s been out in paperback for a couple of years nearly. You should be able to get hold of it from any good sided bookshop or all the usual suspects – as well as on Kindle or Kobo. As is traditional, I suggest buying from the Big Green Bookshop – they’ll post it out to you and have been running a really lovely “Buy a Stranger a Book” twitter campaign on Wednesdays that will gladden your heart. As the deadline for Fahrenheit’s #Noirville competition draws ever closer – you’ve only got three days to go people, three days – I’ve been trying to clear the decks a bit so that I’m ready to read the entries. So I thought I’d mention a few books this Recommendsday that I’ve read recently but haven’t chatted about. It’s a bit eclectic, but that’s just how I roll and I know you won’t mind! Ever wondered what Queen Victoria ate? Annie Gray has the answers. As well as looking at what Victoria ate across the course of her reign, it looks at how the kitchens worked, who worked there and who else they were feeding as well as the Queen. It jumps backwards and forwards in the timeline a little bit, but I came away feeling like I’d learned a lot about upper class dining in the nineteenth century. ITV’s TV series Victoria is back on screen at the moment – and although the Victoria in that is very much the young queen, this would still make a nice companion read for people who want to know a bit more about the Queen’s life and her household. Meet Nora and Dora Chance – former musical all stars, illegitimate twin daughters of a pillar of the theatrical establishment – on their 75th birthday, which by coincidence is also their father’s 100th birthday. Join them as Dora tells you the story of their lives before they head to the (televised) party. This is a whirling, magical realist journey through the world of the theatre – legitimate and otherwise – full of Shakespeare references and sets of twins galore. I found it enjoyably bonkers although it took a little while before I got my head around it all – there is a big old cast of characters here – and I’m still thinking about it a couple of weeks later. You may remember me raving about the Little Bookshope of Lonely Hearts last year – and now it has a sequel. The good news is that this is not the sort of sequel that breaks up the couple that you’ve invested so much in in the first book and then getting them back together. This sees one of the other girls who works in the bookshop get her happily ever after. I always find it slightly weird to read books where the main character has my name, but I liked Verity Love so much that I got over that quite quickly. This Verity is an Austen mad introvert, who invents a boyfriend to keep her friends off her back and then ends up with a real life fake boyfriend. I had a few issues with Johnny’s back story – and insufficient grovelling at the end – but was mostly swept away by this – I do love a relationship of convenience story. Right, that’s your lot for now, but I hope there’s something in here that’s tickled your fancy and might help you fill a reading gap while I’m off reading all those Noirville entries. 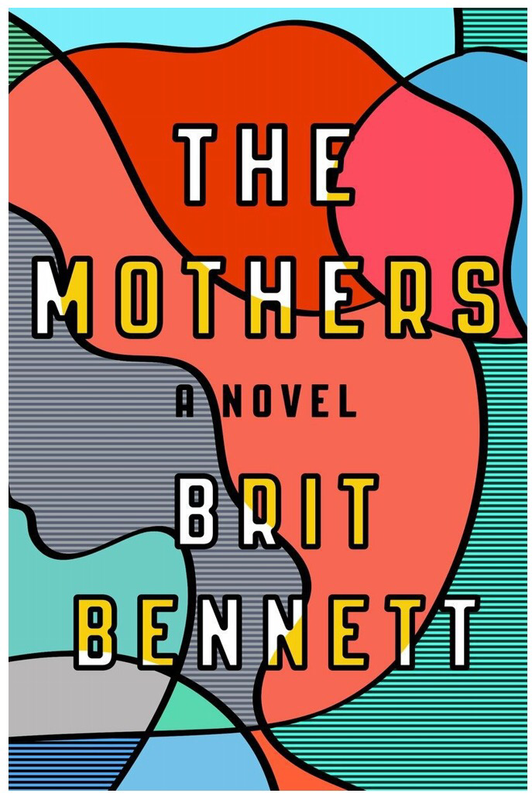 Tricky choice for BotW this week, but I eventually plumped for Britt Bennett’s The Mothers because it was a bit out of my normal reading comfort zone, but wore it very lightly and made me think. In aftermath of her mother’s death and in the twilight of her time at high school, Nadia Turner gets involved with the minister’s son. Luke is a couple of years older than she is, but is still adrift after the injury that ended his football career and cost him his college scholarship. It’s nothing serious, just a bit of fun, until Nadia gets pregnant. And what comes next changes the course of both their lives and sends ripples out through their church community that will last for years to come. Firstly, I loved the setting of this book. Bennett really brings to life her fictional contemporary black church community in Southern California. Part of the story is told by the elder women in the church as a kind of Greek chorus. It adds an extra perspective in between flipping between the stories of those mostly closely involved. It’s also full of interesting characters, even if you don’t always like them that much. Luke and Nadia and her best friend Audrey make a fascinating triangle, who have different views on life and experience the fallout in different ways. Now, I can’t say too much more about this or I’ll give too much away, but reading through the reviews of this on goodreads, there are some very definite opinions about the author’s stance with regard to Nadia’s decision. As far as I was concerned, I thought it was handled in a very balanced, matter of fact way and in the main the fall out was portrayed as more down to the cover up and the other issues going on rather than because of the actual decision. Is that cryptic enough?! Anyway, nearly a week later I’m still thinking about the characters, which has to be a good thing. This is Bennett’s first novel and was nominated for a whole bunch of prizes, which really didn’t surprise me because it’s clever, well-written and very readable. This is also a book that fills a couple of this year’s #ReadHarder categories: Debut Novel, book where all the POV characters are people of colour and for me, book set more than 5,000 miles away. The hardback is out now, the paperback is coming in October. When that arrives, I think you should be able to find it in most bookshops, but possibly not in the supermarket. As always, if you can’t make it to a bookshop you could order it from a Big Green Bookshop or pick it up on Kindle or Kobo.